If you have kids over 5, you are probably completely over picking loom bands out of the vacuum cleaner, the cat, your dinner etc etc. My kids have gone loom band crazy – which is kind of cool as it’s got them thinking about their own designs and generally being creative HOWEVER we are one loom short for the number of kids we have! NO PROBLEM – I just checked around the kitchen for some suitable implements! 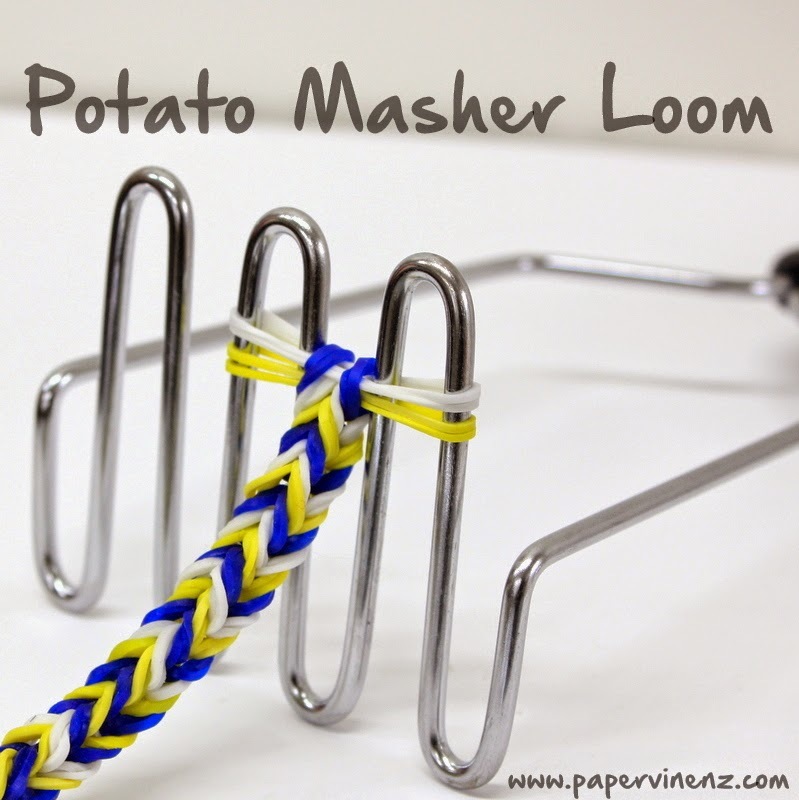 This potato masher makes the lumpiest mash ever – but who would have thought it would be saved from the dreaded “second drawer” graveyard for useless kitchen implements. 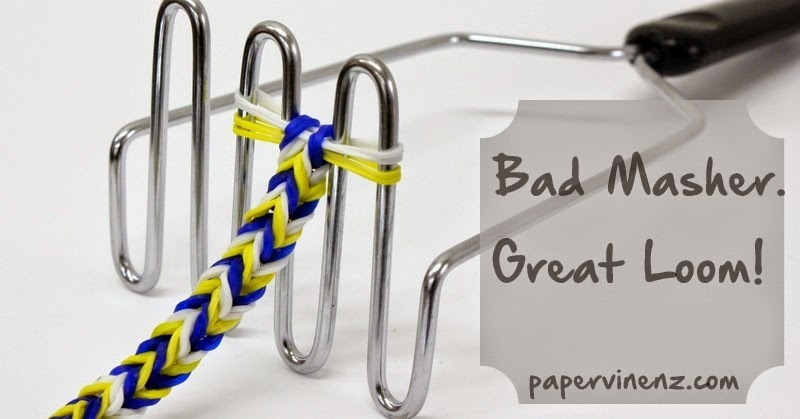 It’s perfect for little fingers that find the hook and loop of the loom a bit tricky. This band is in SENZ Colors – and we will have a contest at the show for the best band in the same colors. Stay tuned on our Facebook page for details! Hey this is too cool Lowri.. My grandsons havnt got these yet but i am thinking of taking a trip to the $3 shop when i get the chance.. Could be something to amuse them in the holidays.